The Rebel Alliance is made up of diverse beings from across the galaxy. Each of these has something to contribute to the Alliance’s mission, but few can match the raw strength of a Wookiee. Soon, you’ll have the chance to bring one of the most well-known Wookiees in the galaxy to your tabletop. 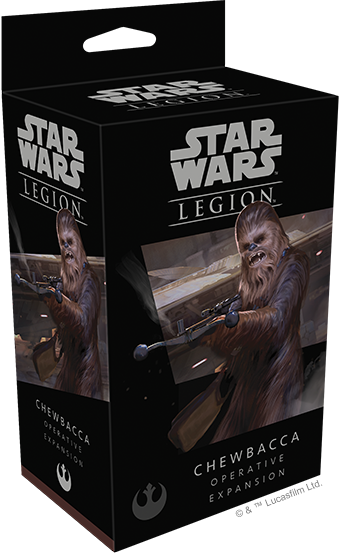 Fantasy Flight Games is happy to announce the Chewbacca Operative Expansion for Star Wars™: Legion! Order your own copy of the Chewbacca Operative Expansion at your local retailer or online through our website today!